I have just returned from a very restful break from work and day-to-day life in general. My holiday was broken into two parts, the first was long weekend in Buckingham, where I visited Stowe Landscape Gardens, and wrote about on 19 September. The second, longer break, was spent on the Welsh borders. We visited several NT gardens during our stay and I aim to write about each of them on different posts, rather than lump them all together. This is my post about Garden #2. On the journey up there, a good friend of mine texted a recommendation to visit Westbury Court Garden owned by the National Trust. 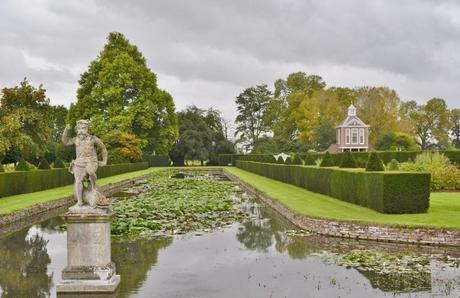 Westbury Court Garden is the only original Dutch Water Garden in the UK and was laid out in the very late 1600s/early 1700. It survived the Capability Brown and Repton movement of replacing flowers and plants. I wonder if this is because it is a relatively small garden and all on the flat, so not enough land to turn into a landscape of great proportions. The Garden fell into disrepair in the late 1960s and was bought by the Local Authority to rescue it from a local builder. The National Trust started to renovate it in the early 1970s and apparently was one of the first garden renovation projects undertaken by the NT. The Pavilion above, and to the right of the picture, is a total rebuild. You can view the garden from the upstairs windows, be warned though, walking upstairs is similar to walking up the stairs of a multi-storey car park! 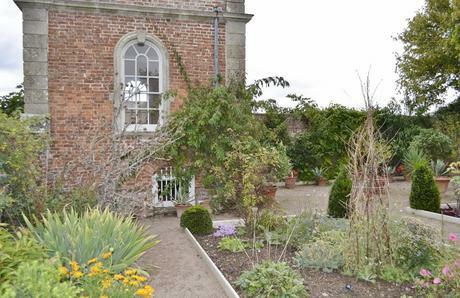 The building below is original, but considering this is supposed to be in keeping with a garden of its time, we were not sure if the white edging bordering the beds was in keeping of the time, but then again, we could be very wrong. The planting throughout the garden, separated into smaller gardens by high Yew hedging, is exclusively of plants used in gardens before 1700. 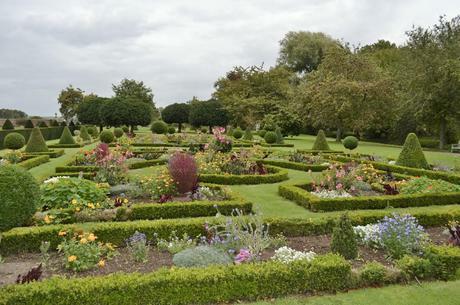 This gave rise to some discussion between us, because the floral beds, edged in box hedging, looked distinctly “Park Gardens”. It was somewhat gaudy and there was a lot of Alyssum which has, over recent years become the sort of gap filler bought cheaply from garden centres. At this stage, I apologise for the quality of the photo, but I would be interested to see what you think of the planting and the claim they are in keeping with pre-1700 planting. The next part of the garden is the Vegetable Garden, again, planted as much in keeping with 1700 planting as possible. In those times, they grew tomato plants and potatoes for the flowers and the coloured fruit, not to eat. As they came from hotter climates, it was thought they would be poisonous and it was not until the mid 18th Century that people started to eat tomatoes. The final section of the garden had a lot of fruit trees. You will know how frustrating it is when you look at something and know that you know what it is called but just can’t remember. I looked at the fruit for ages, the name was just on the tip of my tongue – it was so frustrating. I even asked a couple nearby who were adamant that they were Quince, as was my friend, but they were too large and I knew that was not correct. Imagine my relief to find a tag on one of the trees, I ran back to the couple and announced ……. …… “They are Medlars“. 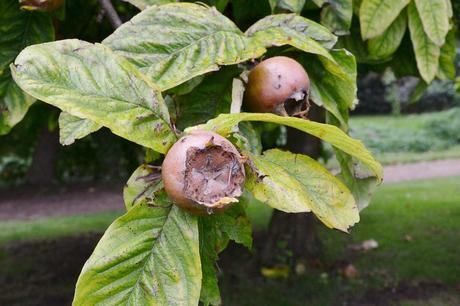 I only know this because of tweets from Twitter friends about Medlars and I read up about them. The lady said “Ah! Yes of course they are” asking what you did with them and I was happy to tell her that you made jelly out of them. That was my good deed of the day! 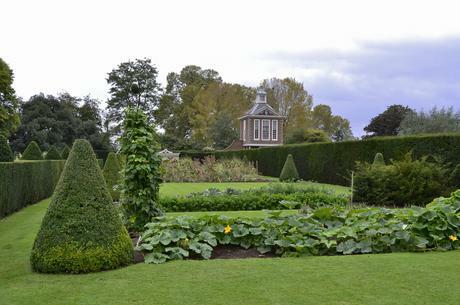 We felt that Westbury Court Garden lacked atmosphere and still had a feeling of a new garden, despite it being renovated some years ago. This may be because it is so flat and open, but it is an interesting garden and if anything else, we learned that Alyssum is not a modern garden plant.